As mention in the earlier blog posts, Microsoft Dynamics NAV has different client types apart from the RoleTailored client. The different client options are not mutually exclusive: you can have different client options on the same computer. 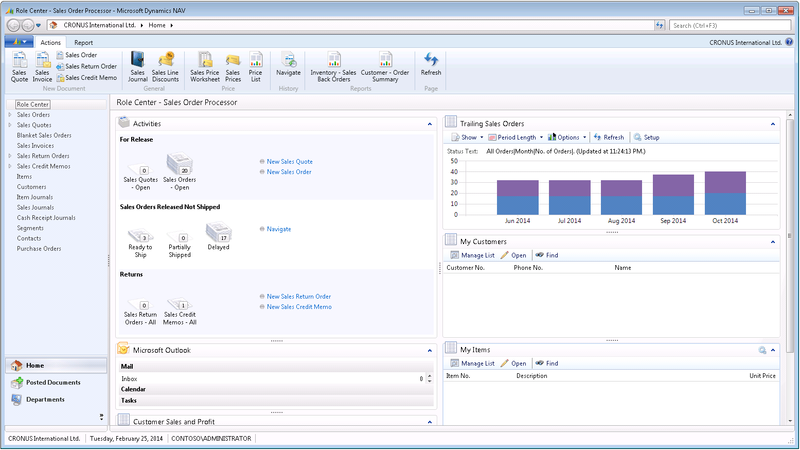 This is a Windows form-based client and it is designed as a the front end for the three-tier architecture of Microsoft Dynamics NAV.It is an intuitive and versatile Windows application that developers, partners, administrators, and super users can customize to support the job functions of a full range of work roles in an organization. For each role, Microsoft Certified partner or developer creates customizable Role Center that displays key information that is required for relevant employees and makes their day-to-day tasks easier to complete. The following figure shows the role-oriented interface in the RoleTailored client for Windows. RoleTailored client's role-oriented, task-focused user interface is the main key feature of the client and it display the client in a model driven way and relies on metadata to display this data. This enables Microsoft Dynamics NAV pages to be used by different client types and devices without doing any layout limitations. How to install Microsoft Dynamics Roletailored Client? You can install RoleTailored client for windows by selecting Client option or Developer option from the Microsoft Dynamics NAV setup. 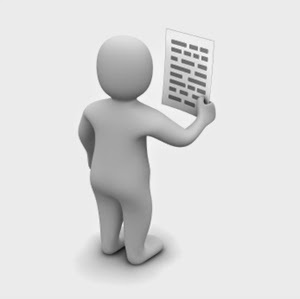 Find the previous blog posts related to Microsoft Dynamics NAV architecture. The client tier provides the client interface to the user and also it is responsible for data presentation. Microsoft Dynamics NAV 2013 has windows client, web client web service client sharepoint client through Microsoft Dynamics NAV portal framework and NAS service client for programming access. All these clients are handled by the client tier and following components are consists in it. The Microsoft Business Framework (MBF) provides programming abstractions and a prescriptive architecture suitable for the development and deployment of business applications based on a distributed, service oriented architecture. This set of classes in the .NET Framework enables the rapid development of powerful smart client applications. This logical form is a device-independent representation of forms/UI parts and web parts. Found in the client, the UI determines the user experience (UX). Content is delivered to the client from the data-binder layer in MBF. End-users can customize their user experience. The data-binding layer transports data, data state, and notifications about data from the underlying business logic to forms and controls in the display target client. It also has reverse functionality and transports input data, data state, and notifications from the client to the underlying business logic. This requests reading metadata for a form and builds a logical form with data binding, controls, and behavior. The logical form provides the functionality that is shared by all display targets: data binding, input validation, navigation, and possible business logic. These are necessary because the MBF client will not deliver all the Microsoft Dynamics NAV 2013 controls. Therefore, native controls, or managed Windows Forms controls, are wrapped in a thin abstraction. This is the physical control. Is there any other client for Microsoft Dynamics NAV 2013 apart from the client for Windows? Yes. In addition to the client for windows, Microsoft Dynamics NAV support few different client type. Does all these client types have a UI? No they do not have a UI. You might feel some of the below listed types are not client because it does not have a UI which have user interaction. But those clients have interact with the Microsoft Dynamics NAV database through Microsoft Dynamics NAV server and therefore those clients are considered as a clients of Microsoft Dynamics NAV. Even Though the SOAP and OData web services and NAS service are considered as the client for Microsoft Dynamics NAV, they are configured through Microsoft Dynamics NAV Server. From next blog post let's discuss about the different client types of Microsoft Dynamics NAV. As a start to the Microsoft Dynamics NAV Programming tutorial series we will discuss about the Microsoft Dynamics NAV 2013 architecture. Knowing the basic concepts of Microsoft Dynamics NAV architecture will be helpful during the programming. History of the Microsoft Dynamics NAV Architecture. Versions before the Microsoft Dynamics NAV 2009 was build on a two-tire architecture and it is based on the true client/server distributed data solution. In this model of the Microsoft Dynamics NAV, data and the data manipulation layer is included on the server and application,presentation logic, and presentation layer is included on the client. In other word presentation layers is included in the classic client of the Microsoft Dynamics NAV. This means application logic in other word business logic and presentation layers which handle user interface are included in the client computer. The two-tier architecture also puts the data and data manipulation layers (DML) on the server in the native database and SQL Server configurations. What is the new architecture of Microsoft Dynamics NAV ? Microsoft Dynamics NAV is build on a three-tired architecture model that use three core components. 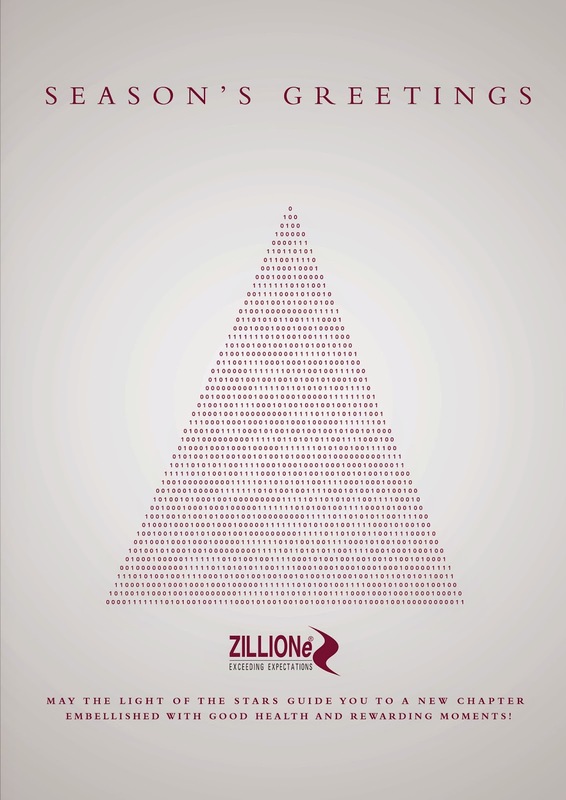 This three-tire architecture was introduced with the Microsoft Dynamics NAV 2009. With this architecture, in which the data and data manipulation layers are put on their own servers, the application logic is put on its own server, and the presentation and presentation logic are put on the client. The client tire - This it the layer which handle the front end of the Microsoft Dynamics NAV. Every user interaction is handle by the client layer and it is also called as "presentation logic layer"
Middle tire or Service tire - Middle-tier is a multithreaded tire which manages the business logic and all the communication in NAV. Data tire - As it name indicate this tier handle and provide data component. Microsoft SQL Server provide the data layer to Microsoft Dynamics NAV. 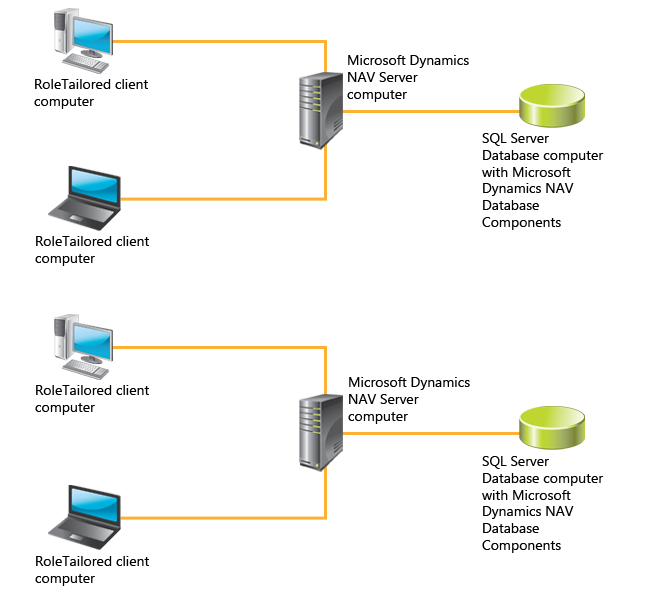 The new three-tier architecture is multithreaded so that it can handle more than one process at a time. This architecture overcomes the intrinsic limitations of the two-tier architecture. Can we have several server instance? It is possible to have several Microsoft Dynamics NAV instances in same server and each of this server instances can be connected to ONE Microsoft Dynamics NAV database at a time. It is also possible to connect several Microsoft Dynamics NAV Server Instances to a one database. Why not share our knowledge with the others? Each day we learn new things knowingly or unknowingly. Information and knowledge we gather on every day is very precious. To you it might be a very small functionality in NAV, but that small information might change the entire implementation process of another business. We never know the value of the information and that is why it is always important to share the knowledge with others. What will this tagged posts will have?? With this newly created tagged posts I will start a new series of functional tutorials for the new comers to the Microsoft Dynamics NAV. I would want to share my experience or re share the experience of others in a very descriptive manner to make easy to make the early foot steps into Microsoft Dynamics NAV. Other than the new functional tutorial, this will compromise with the new functional introduction to NAV and other tips and tricks. Why new tag (Technical Tutorials)?? Over the past few months I got few requests from my friend to start a new blog which will completely based on Microsoft Dynamics NAV technical scope.WIthout starting a new blog I thought to create a new tag. What will this tagged post will have?? With this newly created tag I will start a new series of programming tutorials for the new comers to the Microsoft Dynamics NAV. Reason for that is, there are many blogs and articles available on very advance concepts and advance programming on Microsoft Dynamics NAV, but there are very few blogs which provide foot steps to the new comers to the NAV and sometimes they struggle to start their journey with very less information. I still remember how I used to search on internet to get more info about NAV (I still do) and how I read the found information with a greed. I was a regular visitor of many NAV blogs (mainly Mohana's) and I read some articles over and over again to get the information and knowledge. Blogging and knowledge sharing is one thing that will help us to grow in our own way. So as the same way I would want to share my experience or re share the experience of others in a very descriptive manner to make easy to make the early foot steps into Microsoft Dynamics NAV. Welcome to the Microsoft Dynamics Partner Academy for the Project Manager. This learning plan has been designed to build your knowledge and skills in the following domains: project management discipline, solution design, implementation methodology and change management. Combined this knowledge will put you on the path to earning the certifications from Microsoft and PMI®, the Project Management Institute. This role-based Academy has been designed for experienced consultants, new to Microsoft Dynamics, who are looking for guidance on how to gain the knowledge necessary to excel in key implementation areas. It also provides guidance to Dynamics-savvy consultants who want to improve their professional skills and/or update their product knowledge. This Academy does not pretend to include all the training necessary to reach the expertise level required by a seasoned consultant. Instead, it focuses on key knowledge domains necessary to excel at each role; bringing together readiness sources for product, implementation methodology and professional development. Learning plans are a great tool to help your employees get traine​d​​ on Microsoft Dynamics and related products. Training on Microsoft Dynamics is available in many formats to fit your needs: E-Learning, self-study training materials and instructor-led training - and certification exams and assessments for Microsoft Dynamics are available to validate your expertise. By becoming trained and certified in various disciplines, you can document your knowledge on Microsoft Dynamics products and showcase your expertise to your customers. Blog post about what is ERP and Why to have an ERP ? 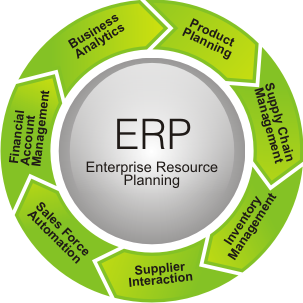 Check this blog post to learn what is ERP and Why to have an ERP ? 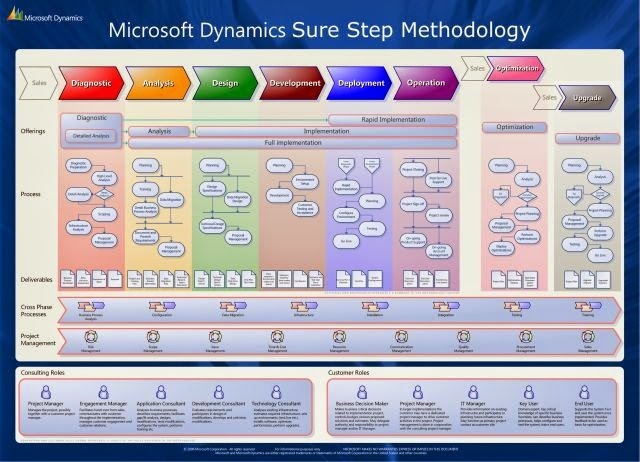 If you are interested about Microsoft Dynamics Architecture follow this blog posts. Microsoft Dynamics NAV allows you to filter a listview by using your own filters. How many times you have wondered if there is a facility to save these filtered views somewhere so we can use it again without going through the same process over and over again. Now it is available to you. 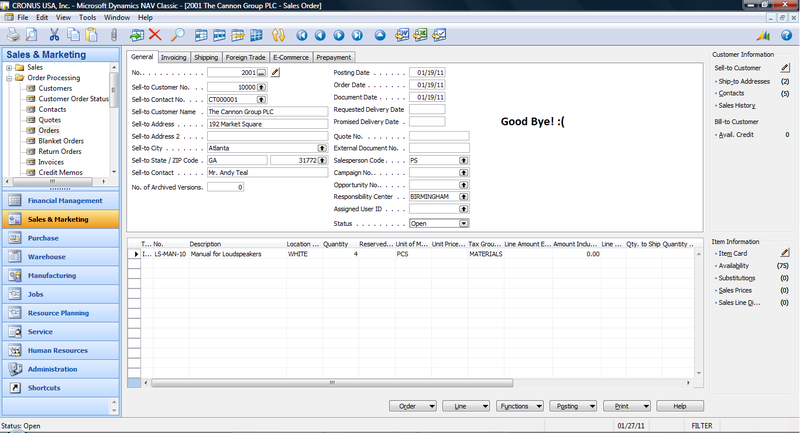 In this blog post I will show how to create a view and save it in Microsoft Dynamics NAV. Think you want to filter customers according to your filters and then want to save them in a view so you can use it again and again without going through the same process. Here goes the steps that you need to follow. Then add the required filters. Now click on the header title of the list and in that you would find a menu item as "Save View As.."
Once you click that from the menu following message will pop up asking the view name and place that view should get saved. Provide the name you want to save this view as, and the location where you want to add this view link for next access. For this view I am giving "Customer -Y-F-R" and selecting the location as "Home"
Once you click 'OK' it will ask to restart the application, in order to effect the changes you have made. After the restart of the application you will be able to see the "Customer - Y-F-R" view in the navigation pane under the customer. Once you click it, Microsoft Dynamics NAV will filter the dataset according to the set filters and you do not have to worry about applying the filters from the start. Next question is how are we going to remove these views?? It is pretty easy. Right click on the navigation pane and select "Customize Navigation Pane"
In the window that gets open you will be able to see the saved view or views that you have been created. 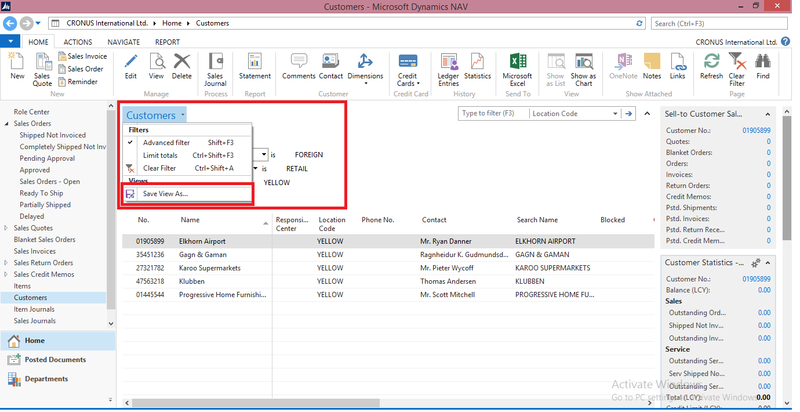 Select them and remove them from the pane or delete them and click ok.
Hope this would help you when you are working with Microsoft Dynamics NAV. 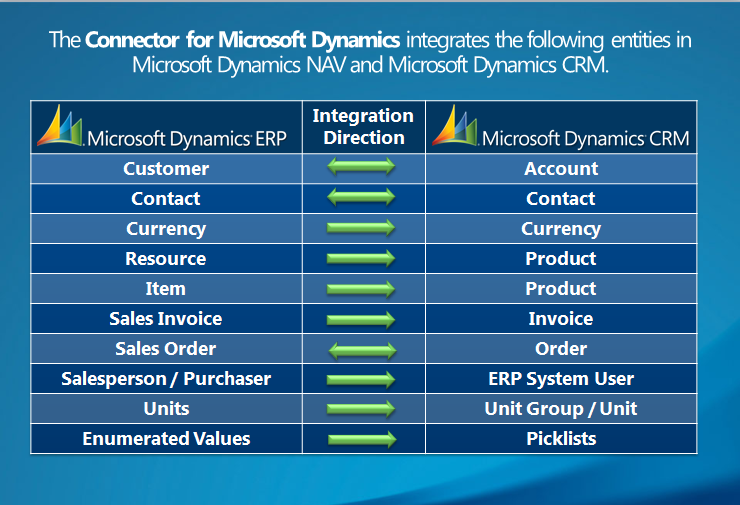 Integration between Microsoft Dynamics CRM and Microsoft Dynamics ERP products has arrived with the release of Connector for Microsoft Dynamics! Integration between Microsoft Dynamics CRM and Microsoft Dynamics ERP products has arrived with the release of Connector for Microsoft Dynamics! Customers of all Dynamics ERPs now have access to the same simple, reliable and extendable integration with our CRM product that have shipped for GP, AX and NAV previously. Out-of-the-Box entity mappings provide immediate value by integrating the key data in both systems. That basic integration can be extended by adding new maps, or leveraging the SDK to create custom integrations. Connector is ready for use today! Every day Microsoft partners are supporting and implementing Microsoft Dynamics NAV to help our customers to make their life easy in the busy and competitive world. There are so many clients who have build their business and achieve some remarkable growth just because they have a proper management system in their business. How many of us know those success stories around the world? Microsoft has started to build a library with the success stories. 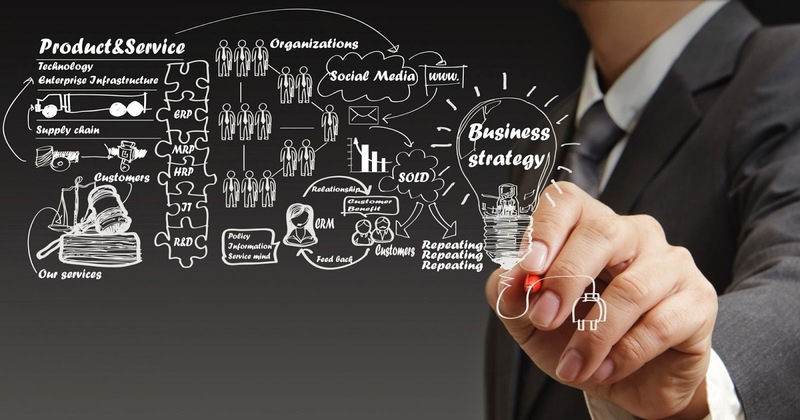 Do you want to know about the success stories of Microsoft Dynamics NAV ? Then click here to read customer case studies. Providing you with the latest intelligence and tools to position Microsoft Dynamics to win against our competition. The Microsoft Dynamics Editorial Calendar provides an overview of the themes, business priorities, and marketing & conversation topics driving the planned events, customer stories, and additional marketing materials for Microsoft Dynamics in FY​15. In addition, content is broken down by Industry, with all relevant accompanying social media channels called out for convenience. Important materials are linked to throughout the calendar. Take advantage of this opportunity to align planning of your own events, campaigns, and messaging by downloading the Global Microsoft Dynamics FY15 Editorial Calendar today. The LKC Quick Reference Guide has been developed to walk partners through the steps of creating a zero value Demonstration/Development license for their organization. In addition to having an active channel agreement with Microsoft (e.g., SPA), all channel partners who wish to sell licenses to, or create and/or resell localizations and/or translations of, Microsoft Dynamics software in any country* for which Microsoft has not created, and does not make generally available, a localized and/or translated version of the below applications (Non-MS GA Region) must have a signed MPLLA on file with Microsoft. For more information about the various countries where Microsoft makes localized and/or translated versions of Microsoft Dynamics software generally available click on the links below. Do you really want to complete Microsoft Dynamics NAV implementations with proper documentations and proper order ? Then best solution is to follow Sure Step methodology. What is Sure Step ? Sure Step tells you WHO shall do WHAT in WHICH ORDER and who is RESPONSIBLE for what. 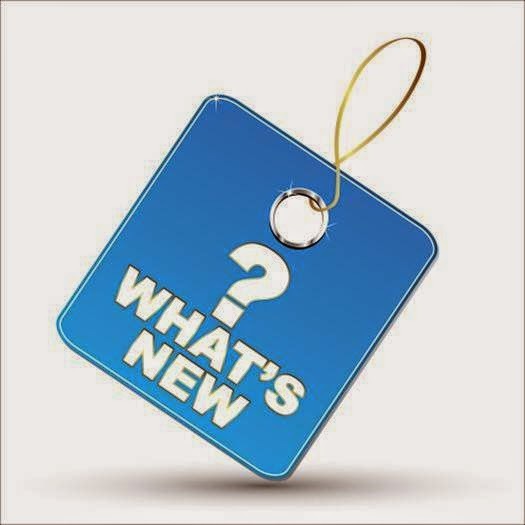 Cumulative Update 14 includes all application and platform hotfixes and regulatory features that have been released for Microsoft Dynamics NAV 2013 R2. You can download the cumulative update from KB 3020884 – Cumulative Update 14 for Microsoft Dynamics NAV 2013 R2 (Build 38801). Microsoft Dynamics NAV 2009 was the last version which had classic client and after 2009 version Microsoft moved with RTC and web client by dropping classic client. I can confidently say that many of us including myself loved the classic client even though it does not look hot like RTC. However after January 13, 2015 Microsoft will stop its mainstream support for Microsoft Dynamic NAV 2009 versions (2009, 2009 R2, 2009 SP01). This is the Microsoft's way of saying, get upgraded to new version! 361206 An old PersonalizationStore file cannot be used when opening the Bank Account Reconciliation page. 361281 An empty group is still visible in a FactBox. 361723 Co-branded names may be truncated, for example to MS, if they are too long. 361784 Include support for ClientType in the Format and Evaluate functions. 361791 RTC crashes when closing after some time of inactivity. 360947 “The requested record cannot be located” error message when you open a notification through a Role Center page. 361803 The Restore Defaults function on a Role Center in configuration mode does not restore defaults for users of the configuration. 360836 "The property exceeds the buffer size" error message in the development environment when you compile a Role Center page with many action groups and actions. 361776 List pages do not refresh automatically in the North American version. 360982 "The text is too long" error message when importing a translation. 361377 The Windows client crashes with ArgumentOutOfRangeException. 361748 The Windows client uses old version of IE in client add-ins. 361898 A page with an add-in does not release memory. 361838 Dynamic behavior controlling visibility and enabled/disabled on actions added via configuration or personalization does not work. 361722 Online Document Storage does not work when mixing Office 365 subscription and NAV locales. 361758 Developers need new options for handling option fields in OData results in multi-language environments. 361751 During RapidStart upgrade, the Code commandlet produced extra brackets, and OCX did not preserve the subtype. 361508 If you enter a long URL in the Link Address field on the Links page, then it cannot be launched using the globe icon. 361946 Cues do not truncate overflowing counts. 362159 Introduce a build version check between NST and Windows and Web clients. 362139 Configure NST to turn off SmartSQL. 362149 In some circumstances the Windows Store App crashes when you choose the navigate back button. 362209 Field values for the Autoincrement field are not upgraded properly. A value of 10000 is changed to 1. 362215 "The property exceeds the buffer size" error message when you compile a page object. 361725 The app can now connect to a server on localhost using HTTP. This is intended for one-box demo deployments such as demoing on Surface Pro 3. 361864 The object metadata is out of sync every time you recompile a table object with the Linkedobjects property set to Yes. 361809 Update the internal Word-to-PDF format engine to the current version. 361794 Add-in controls do not go to the next record when you press Enter, because Enter is used to jump to the next field on a page. 362268 Document reports using static images in Word headers or footers may not render the images correctly in multi-document reports. 361774 Severe performance degradation when you run Application Merge Utilities powershell commands.